Come end 2017, new safety norms are going to come into play that demands that each new vehicle needs to be crash tested as part of the homologation criteria. Now a new report has come which states that more features will be added to each car from 2019. The government has now proposed a new law which states that seatbelt alert, driver’s side airbag, speed warning and reverse parking alert have to be standard on all cars from 2019. This means that even the smallest and the cheapest cars will now have to be equipped with a seatbelt warning lamp, a single airbag, speed warning and reverse parking sensors. The update will be done to the standard 145 of Automotive Industry Standard, something that talks about enhancement of occupant safety. The standard focuses on use of seat belts, reducing number of accidents caused due to speeding, ensuring that no child is run over when a vehicle is reversing and the risk to the driver’s life is reduced in case of an accident. Those vehicles that need 5 star rating in the upcoming BNVSAP (Bharat New Vehicle Safety Assessment Program) would require all the above mentioned features. The government has set a target to reduce road accident by 50 % in the next 3 years. Till now, safety has not been a key parameter when people choose their vehicle. While in most countries abroad, dual airbags, ABS and EBD have to standard on all vehicles, there is no such law which is there in India currently. 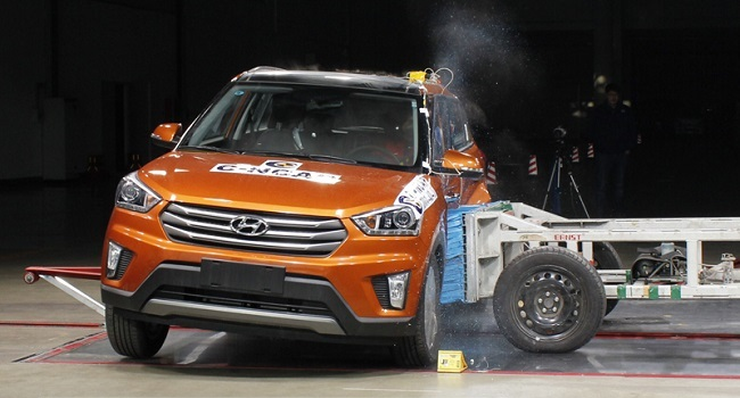 Crash tests are mandatory in most other countries, however it is still not so in India. We hope that these changes will help to bring safer cars to India that will help to reduce deaths in case of an accident.